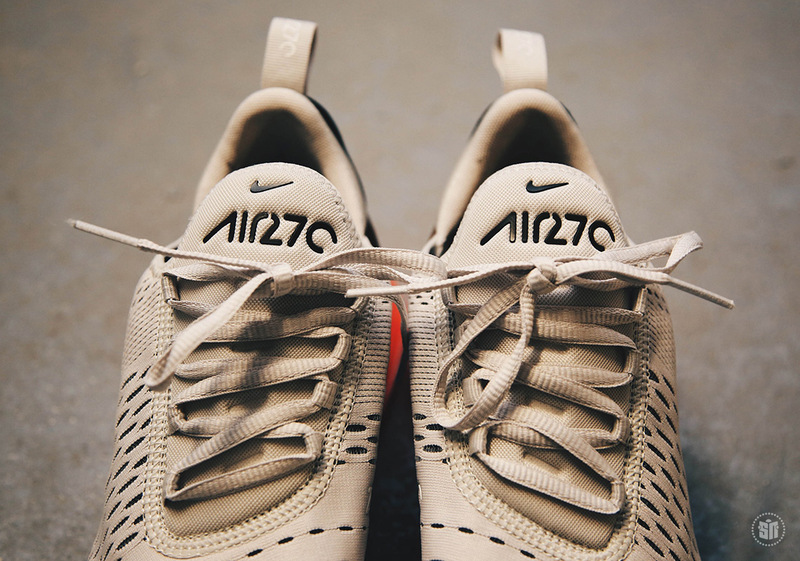 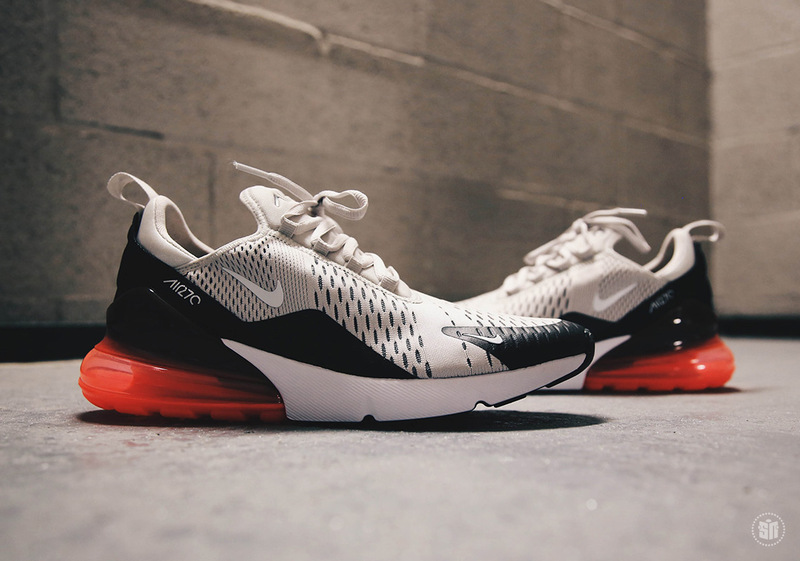 Update: The Nike Air Max 270 in Light Bone/Hot Punch releases March 2nd, 2018 for $150. 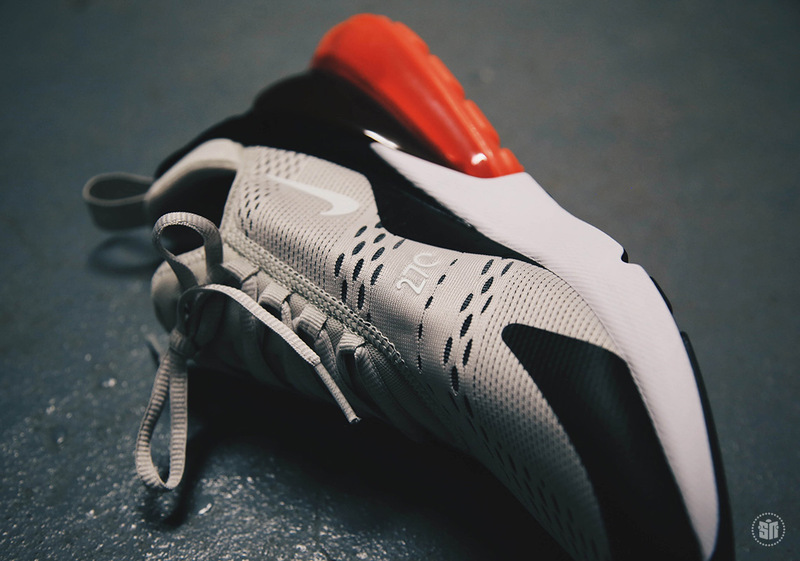 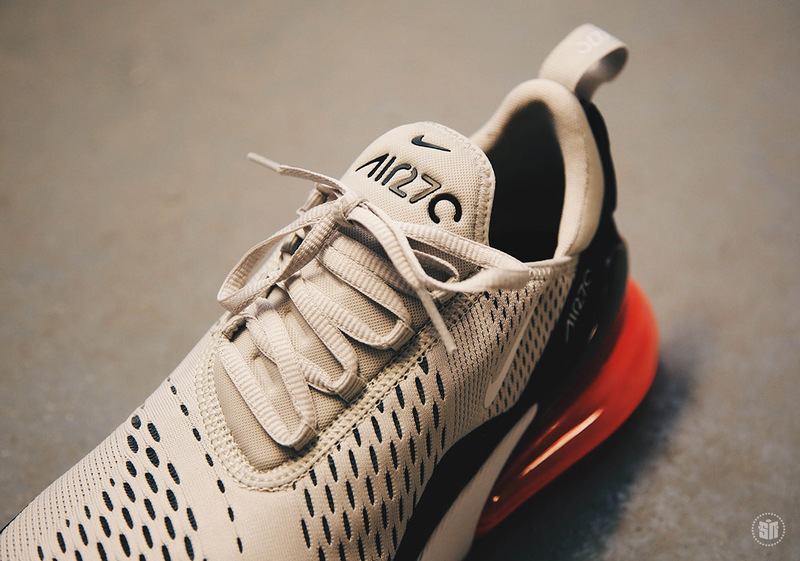 The Nike Air Max 270 previews continue as we get a first look at an upcoming Light Bone/Hot Punch pairing that is set for a release on February 1st. 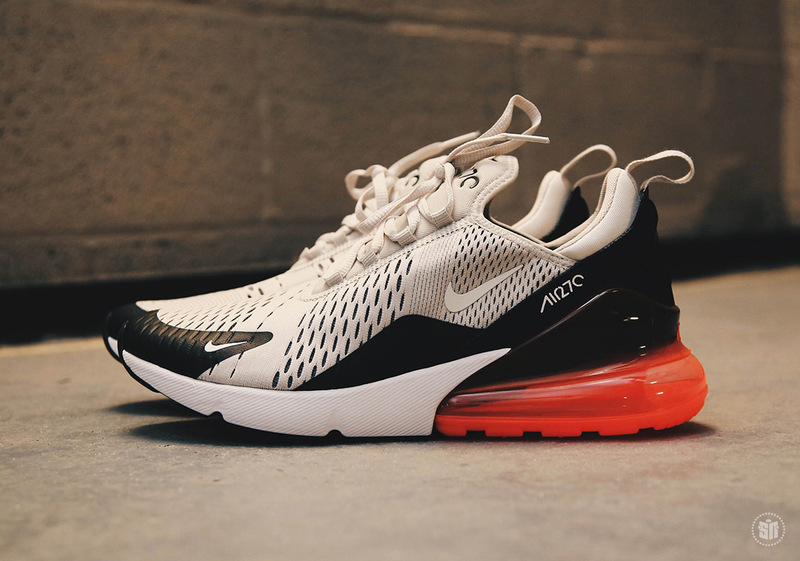 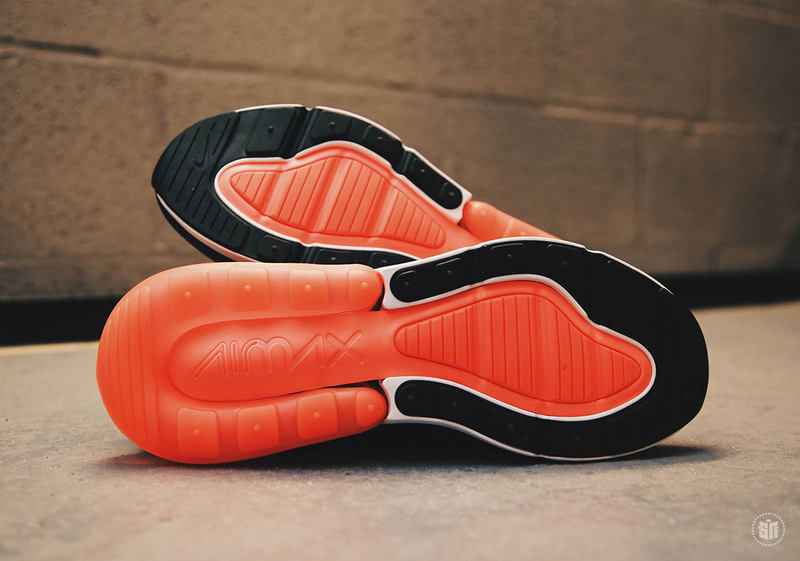 Featuring the tallest Air Max heel unit in the history of the brand, the Air Max 270 features heavy inspiration from early 90s icons in the Air 180, which featured a cushion unit that was exposed to the ground, and the Air Max 93, Nike’s first half-length Air Max bag. 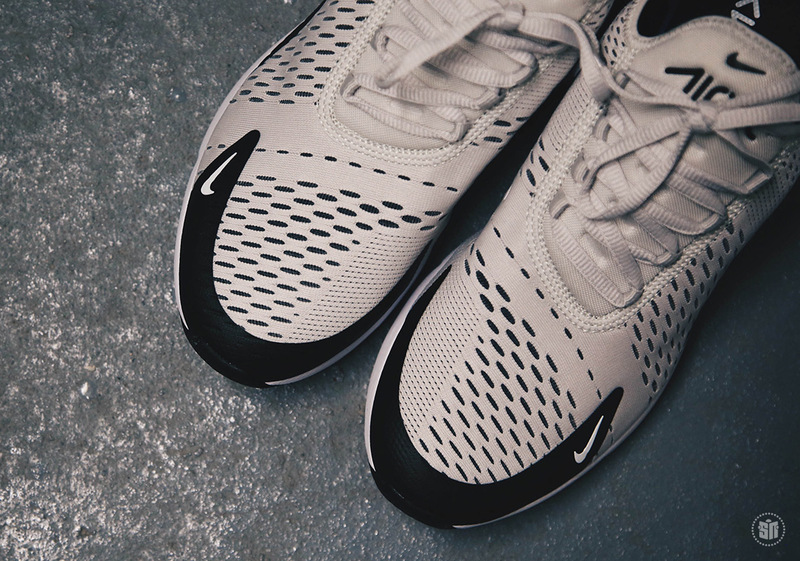 This new colorway boasts a Hot Punch heel to further accentuate the innovative new design, while Light Bone on the engineered mesh offers a contrasting neutral tone for casual/lifestyle use. 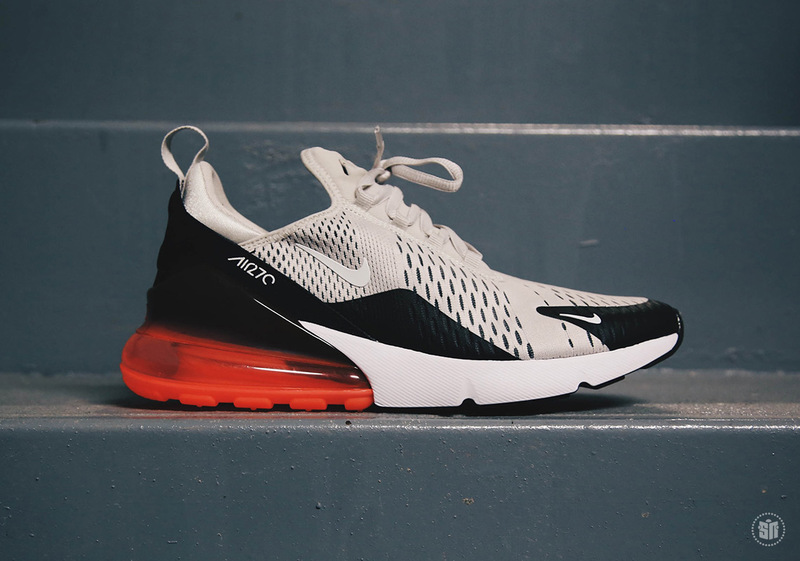 Look for the Air Max 270 to hit stores on February 1st in a series of colorways, with additional “OG”-inspired versions on Air Max Day 2018.